ELADIO RAMÓN LOIZAGA LEZCANO, Minister for Foreign Affairs of Paraguay, said the United Nations needed to be reformed and updated, with the General Assembly — “the Parliament of the world” — strengthened. Acknowledging increased transparency in selecting the next Secretary-General, he said Paraguay would like a head of the United Nations who would attach priority to preventative diplomacy and mediation. 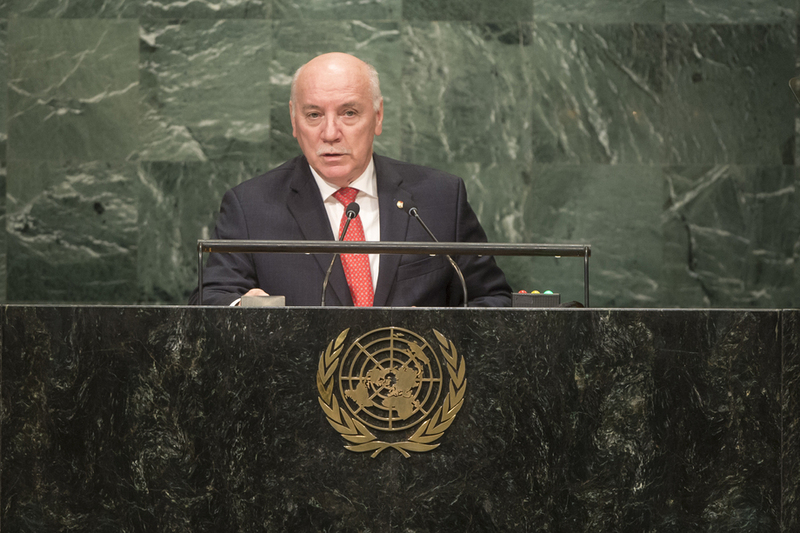 The Security Council also needed to be more democratic and representative, with more space for developing countries, he said, noting Paraguay’s aspirations for a Council term. He called on all nations to prevent threats to peace and to enact disarmament, non-proliferation and arms control measures. Paraguay was contributing personnel to seven peacekeeping missions and it would continue to do so. He strongly condemned terrorism and violent extremism, noting a criminal attack last month in which Paraguayan military personnel had been killed. Furthermore, China should have a better presence within the United Nations system. Paraguay was implementing policies and programmes in response to the 2030 Agenda that would improve its citizens’ quality of life and, in turn, strengthen democracy, he said. With thousands of Paraguayan families having emerged from poverty, the challenge was to ensure that they did not fall back into it. The private sector played an important role in creating opportunities towards full employment and decent work. Countries like Paraguay which depended on natural resources were more vulnerable to climate change, he said, adding that his State would deposit its ratification of the Paris Agreement in the coming days. He urged developed countries to open their markets wider to products from landlocked developing countries. Turning to the Human Rights Council, of which Paraguay was a member, he said it was essential to strengthen that body and to give it the tools needed to fulfil its mandate.